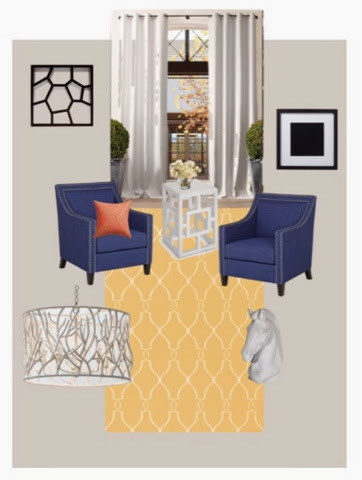 The following two Idea Boards are the ideas I have for the Living Room. Problem is I’m not sure which I like more. 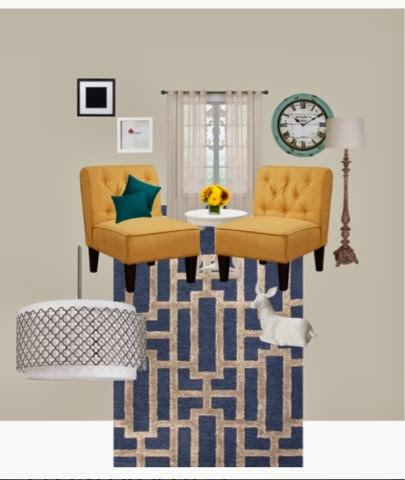 The yellow rug with navy chairs or the navy rug with yellow chairs. Question is…which do you like?